The achievement gap is as big today as it was for children born in 1954, with disadvantaged students three to four years behind their more affluent peers, said researchers Eric A. Hanushek of Stanford University and Paul E. Peterson, director of Harvard’s Program on Education Policy and Governance. The findings counter other research showing a widening achievement gap paralleling rising income inequality. “I was really surprised to see there has been no closing of the gap and that it hasn’t widened as has been argued by some. So ... why hasn’t it gotten better?’’ said Peterson, who, like Hanushek, is a senior fellow at Stanford’s Hoover Institution. 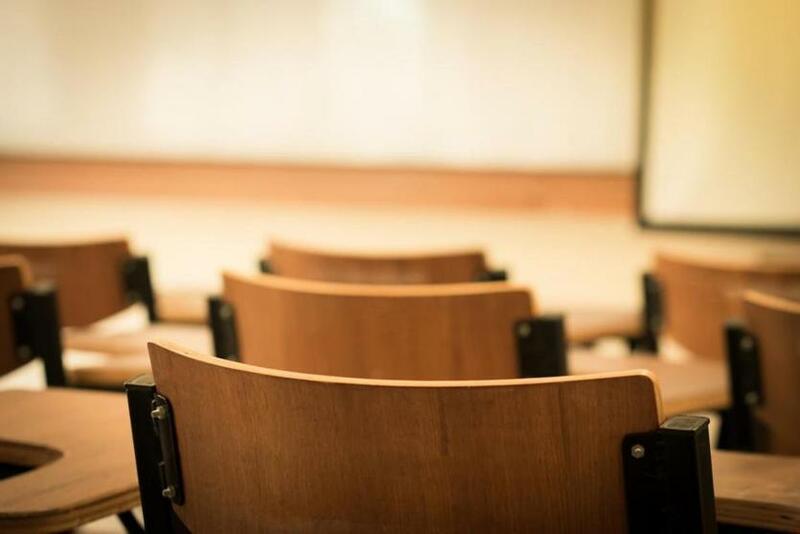 The researchers will highlight their findings in a report Monday in Education Next, an academic journal published by Harvard’s John F. Kennedy School of Government. The study — “The Unwavering (Socioeconomic-Status) Achievement Gap: Trends in US Student Performance” — comes amid a national debate, including in Boston, about how much of the achievement gap between low-and high-income children stems from factors inside versus outside of schools. Some educators and scholars contend the gap persists because of factors such as the quality of child care, preschool programs and neighborhood stresses or conditions. But others have argued that the quality of educational opportunities, including schools and teachers, also play a key role. Discussions on closing the achievement gap are also being held in Boston amid the release of two major studies in recent weeks. In their Education Next article, Peterson and Hanushek suggested that a decline in teacher quality through the years may be offsetting gains made in education reforms such as head start, school desegregation, and federal aid to districts with low-income students. “There is every reason to believe that the quality of the teaching profession will have a particularly adverse effect on low income... disadvantaged students, because those are the students who are unfortunately encountering the most inexperienced teachers,’’ said Peterson, who added the issue is fertile ground for more research. But the researchers are already drawing pushback from some education scholars, including Sean Reardon, a Stanford professor of poverty and inequality in education whose own research ties growing income inequality to an expanding achievement gap. He faulted Hanushek and Peterson for combining four major student performance assessments, three of which, he said, show a widening achievement gap. He called the report incomplete, saying it paints an oversimplified picture of the issue. “From what I can see, it would be useful to look at the four studies separately, instead of just combining them. Three of them tell one story, one of them tells a different story. ... None of them shows the gap is flat,” said Reardon, who said he wants to see the full details of the study. Peterson and Hanushek dismissed the criticism in an interview last week, saying that removing the assessment showing the gap narrowing would not change the final analysis. They criticized Reardon for his own research showing a widening of the achievement gap, saying it was based on observations of 12 different assessments. Peterson and Hanushek’s findings, released Monday, relied on a representative sample of student performance data on four major national assessments administered to US students born between 1954 and 2001. The sample includes 98 tests covering reading, science, and math that were administered to 2.7 million students, the researchers said in an interview last week. It includes tests administered to students age 14 or thereabouts and at age 17. The researchers said they compiled observations of achievement levels and gaps from 46 tests in math, 40 in reading, and 12 in science over the nearly 50-year timespan. As a measure of the social and economic status of a family, they used a combination of students’ description of their parents’ educational levels and items in the home that indicated the “wide gulf” between people with the highest incomes and those with the lowest, Hanushek said. Those include whether students reported having their own bedroom, a television or computer in the home. They found the gap persisted between extremely disadvantaged children and their non-disadvantaged peers, the researchers said, and between students eligible for free- and reduced-price lunch compared to those who are not eligible. While the black-white achievement gap did narrow in the early decades in the study, they said, it has plateaued for the past quarter century. They also noted that significant improvements among middle school students around age 14 evaporated by the time the students reached high school. Richard Rothstein, author and fellow at the liberal-leaning, DC-based Economic Policy Institute, whose work was also referenced in the report, said it backed up what he and others have been saying all along. He pointed out that the authors showed a decline in the achievement gap by race during the period of desegregation that opened up when the courts struck it down, suggesting reforms do work. He also chided Hanushek and Peterson for not acknowledging their past support of the failed No Child left Behind law and their previous criticism to social and economic scholarship on persistent achievement gap. Hoover Institution senior fellow Laura M. Talpey and University of Munich professor Ludger Woessmann also contributed to the study.